Where luxury and historic charm collide. 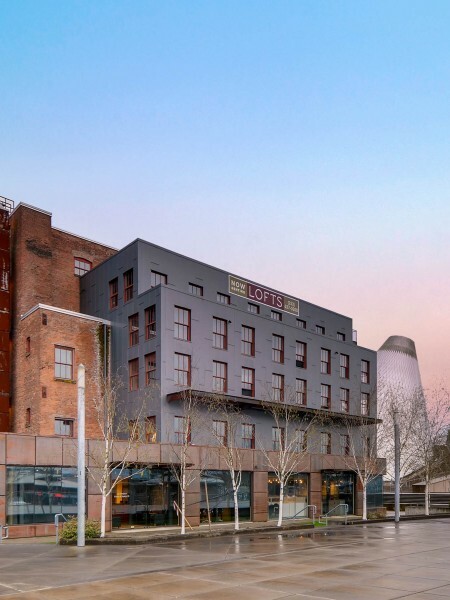 Albers Mill Lofts comprises a collection of distinct lofts for lease in the historic Albers Mill building located on the Esplanade along the Thea Foss Waterway and adjacent to the striking 509 Bridge + Museum of Glass. Surrounded by museums, industry, and an abundance of architectural and natural beauty, this is easily one of Tacoma’s most intriguing and sought after neighborhoods. Each loft is unique in design; offering a variety of urban characteristics and open-space floor plans. All of our lofts have wood and/or polished concrete floors, exposed wood beams, steel features, brick walls, high 15-20 ft. ceilings, and many more interesting design elements throughout. You will be amazed when you experience authentic loft living unlike anywhere else in Washington. Enjoy amenities of convenience and luxury unique to the Albers Mill Lofts experience. Controlled access, reserved covered parking, package receiving, additional storage and elevator access are available. We also welcome your furry friends to the Albers Mill Lofts experience. 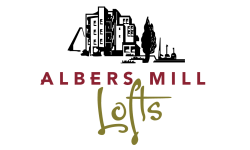 Albers Mill Lofts is highly sought after for the wide variety of dining, shopping, entertainment and experiences right outside your door. Come and explore our Tacoma Luxury Apartments by taking a tour or apply online today! Step back in time to Tacoma’s historic downtown waterfront living.